The Hurricanes extended their unbeaten run against the Rebels with a 13-38 bonus point Super Rugby victory at AAMI stadium in Melbourne. The Hurricanes victory extends their winning run against the Melbourne side to four straight wins and five against all teams this season. 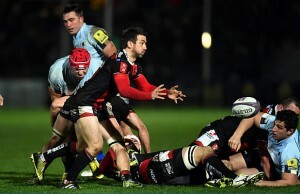 Last year’s Super Rugby final hosts the Hurricanes outscored the Rebels by six tries to two. Beauden Barrett had an off night with the boot but still scored a brace of tries for the Hurricanes. “We’re really looking forward to that so we’ll enjoy tonight and rest up, but we know how much those home derbies mean to us,” Barrett said. 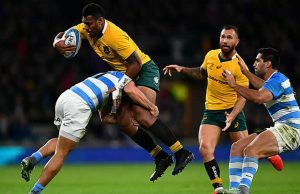 The Rebels, who last week made history by beating the Waratahs in Sydney for the first time, would have gone into the match full of confidence after drawing level with the Brumbies at the top of the Australian conference. The Rebels held their own in the first 20 minutes and even took an early lead when winger Dom Shipperley scored out wide from a Jack Debreczeni kick ahead. But the Hurricanes struck back soon after when Victor Vito crossed following a superb break from Barrett up the centre of the park. A Reece Hodge penalty put the Rebels back in front midway through the half but they held on for barely a minute, a Cory Jane try giving the Hurricanes a lead they never looked like surrendering. A Barrett intercept under the posts made it 22-8, before fullback Jason Woodward crossed two minutes before the break to send the visitors into halftime with a commanding 29-8 lead. 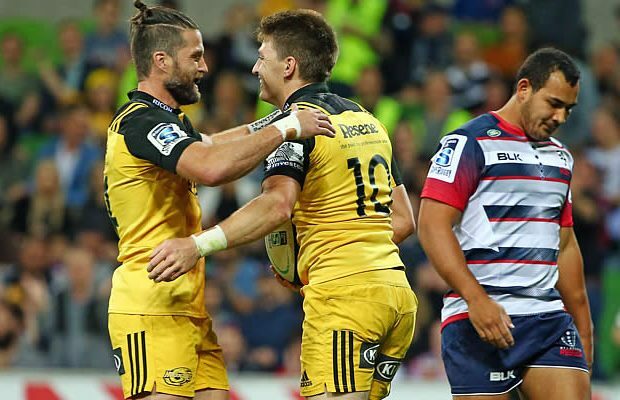 The Hurricanes continued to dominate in the second half but the Rebels lifted their defensive intensity and it took until the 60th minute for the visitors to score, flanker Ardie Savea crashing over after a wealth of possession. Barrett then crossed for his second when he brilliantly regathered a charged down kick to race away and score under the posts. Rebels winger Cam Crawford scored a consolation try right on fulltime, but the home side were well beaten by a rampant Hurricanes outfit. Next week in Round 9 the Hurricanes host the tournament leading Chiefs in Wellington while the Rebels host South Africa’s Cheetahs in Melbourne. Replacements : Leni Apisai, Chris Eves, Ben May, Mark Abbott, Tony Lambourn, Jamison Gibson-Park, Otere Black, Ngani Laumape.